Na sejmu namiznih družabnih iger Origins 2018 v ZDA so podelili nagrade za najboljše družabne igre. Akademija (The Academy of Adventure Gaming Arts and Design) vsako leto podeli nagrade podjetjem za izjemne dosežke v svetu namiznih družabnih iger. Najboljše igre so izglasovali člani Akademije, na sejmu Origins pa so o tem odločali tudi igralci. 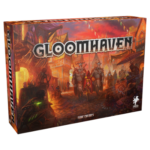 Nagrado za najboljšo igro leta (Game of the Year), za najboljšo igro (Best Board Game) in najboljšo med igralci (Fan Favorite) je prejela Gloomhaven (Cephalofair, Isaac Childres). V kategoriji za najboljšo namizno družabno igro so bile nominirane še: The Captain is Dead, Dice Forge, The Godfather: Corleone’s Empire, Great Western Trail, Lorenzo il Magnifico, Near and Far, Pandemic Legacy Season 2, Raiders of the North Sea, Tak: A Beautiful Game in Santorini. po glasovih igralcev (Fan Favorite Card Game) pa Hero Realms (White Wizard Games, Darwin Kastle). 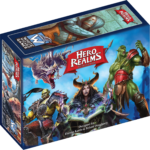 Med drugim so bile nominirane še naslednje igre: 5-Minute Dungeon, Aeon’s End, Custom Heroes, The Fox in the Forest, Honshu, Jump Drive, The Lost Expedition in One Deck Dungeon. V kategoriji iger, ki jih zbirate (Best Collectible Game, Fan Favorite), je zmagala Star Wars Destiny: Awakenings Booster (Fantasy Flight Games). Nominirane so bile še: Cardfight Vanguard Demonic Advent Booster, Dungeons & Dragons Miniatures Icons of the Realms: Monster Menagerie II, DC Comics Dice Masters: Batman Foil Packs, Dragon Ball Super Card Game, Final Fantasy TCG: Opus I Collection Booster, Marvel HeroClix: The Mighty Thor, MTG Ixalan Booster, Pokémon TCG: Sun & Moon Booster in Yu-Gi-Oh! 2017 Mega Tin. Najboljša družinska igra (Best Family Game in Fan Favorite) je Azul (Plan B Games, Michael Kiesling). Nominirane so bile še: Bunny Kingdom, Codenames: Disney, Codenames: Duet, Downforce, Dropmix, Hotshots, Mountains of Madness, Sagrada, Viral. V kategoriji iger z miniaturami je zmagal (Best Miniatures Game in Fan Favorite) Warhammer 40,000 8th Edition (Games Workshop). Za zmago so se potegovale tudi: Blood & Plunder, Runewars Miniatures Game in The Walking Dead Miniatures Game. V kategoriji iger igranja vlog si je po mnenju Akademije nagrado prislužila (Best Role-Playing Game) Adventures in Middle Earth – Cubicle 7. Igralci (Fan Favorite Role-Playing Game) so izbrali Starfinder (Paizo). Nominirane so bile še: Blades in the Dark, Blue Rose (2nd Edition), Cthulhu Confidential, The Dark Eye Core Rules, The Extraordinary Adventures of Baron Munchausen (3rd Edition), My Little Pony: Tails of Equestria, Monsterhearts 2, Puppetland, Star Trek Adventures, Tales from the Loop, Traveller Starter Set, Vurt. 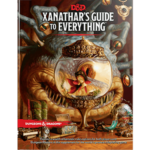 V kategoriji dodatkov za igre igranja vlog (Best Role-Playing Game Supplement in Fan Favorite) je zmagala igra Dungeons & Dragons Xanathar’s Guide to Everything (Dungeons and Dragons, Wizards of the Coast, Jeremy Crawford, Mike Mearls). Za laskavi naslov so se potegovale: Adventures in Middle Earth – Rhovanian Region Guide, Adventures in Middle Earth – Loremaster’s Guide, Blue Rose – Narrator’s Kit, Call of Cthulhu: The Grand Grimore of the Cthulhu Mythos, Call of Cthulhu: The Two Headed Serpent, Castles and Crusades Codex Germania, Castles and Crusades Codex Slavorum, Cypher System Expanded Worlds, Doctor Who RPG: Gamemaster’s Companion, Mutants & Masterminds Atlas of Earth-Prime, Shadow of the Demon Lord: Demon Lord’s Companion. V kategoriji dodatkov pa je tako po mnenju Akademije kot po mnenju igralcev (Best Game Accessory in Fan Favorite) zmagal Terraforming Mars Organizer (The Broken Token). Za nagrado so se potegovale še: Chaosium Call of Cthulhu Coloring Book, Sword & Sorcery Custom Dice Pack, Sails of Glory Series 4 Ship Packs, Smirking Dragon Tablecloths, D&D: Icons of the Realms and Pathfinder Battles Pre-Painted Miniatures in Xia Station Organizer.